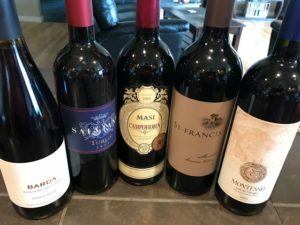 During our last trip to Walla Walla, we had the good fortune to stop by the Figgins wine studio, where we enjoyed some wonderful wines expertly crafted by Chris Figgins. 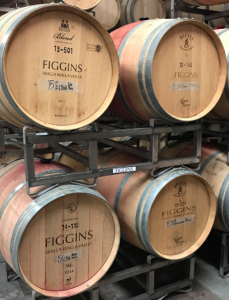 “Crafted” might not be the best word — the Figgins’ website clearly states: Figgins wine is “grown” not “made” and as such, the wine quality is achieved through meticulous, sustainable farming practices and carefully controlled, yet “hands-off” winemaking. 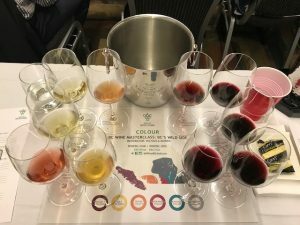 We’ve been fans of Figgins wine for years; more recently, Chris introduced us to Toil Oregon wines at the Northwest Wine Encounter at Semiahmoo Resort. The silhouette on the Toil label is taken from a photo of Chris’ father and great uncle William Leonetti, planting the first Leonetti vineyard in 1974. 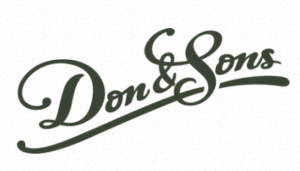 The family history in the valley goes back even further; they moved to Walla Walla in 1902.